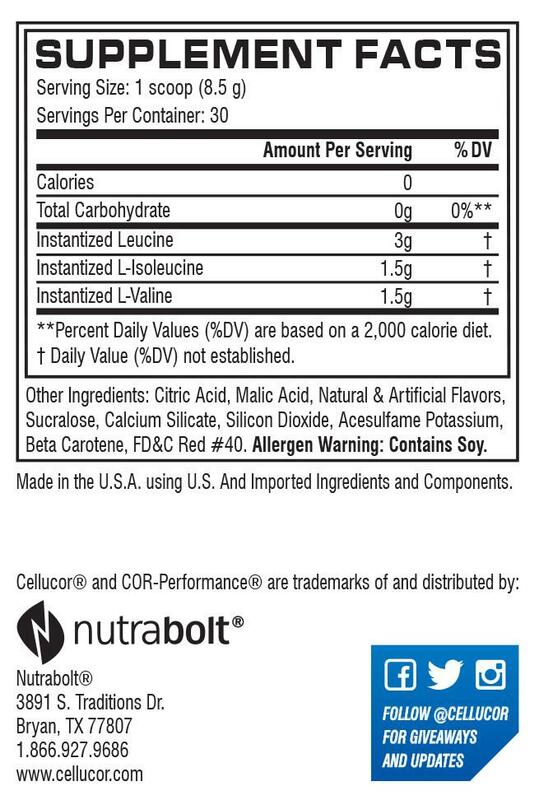 Other Products by Cellucor. Search other Amino Acids products. Cellucor Cor Performance BCAA is a powerful blend of the three branch chain amino acids—isoleucine, leucine and valine—in the scientifically validated 2:1:1 ratio. These amino acids—which are actually three of the nine essential amino acids—have become quite popular over the last couple of decades, with their introduction into intraworkout formulations, pre-workouts and even fortified protein powders, capsules and tablet. Research is starting to back some of their reputed uses, showing that this combination of amino acids, and in this important ratio, can significantly reduce delayed onset muscle soreness1. This has been observed in reductions in markers of muscle damage and exhaustion, such as lactate dehydrogenase and creatine kinase2. This is certainly a good thing, as less muscle damage during exercise means faster recovery times after training, so you can be ready and fully charged for your next session. There's nothing worse than walking into the gym, knowing full well that you need to do this session, and also knowing that your muscles have not yet fully recovered. This is where a little extra amino acid support can come in handy. 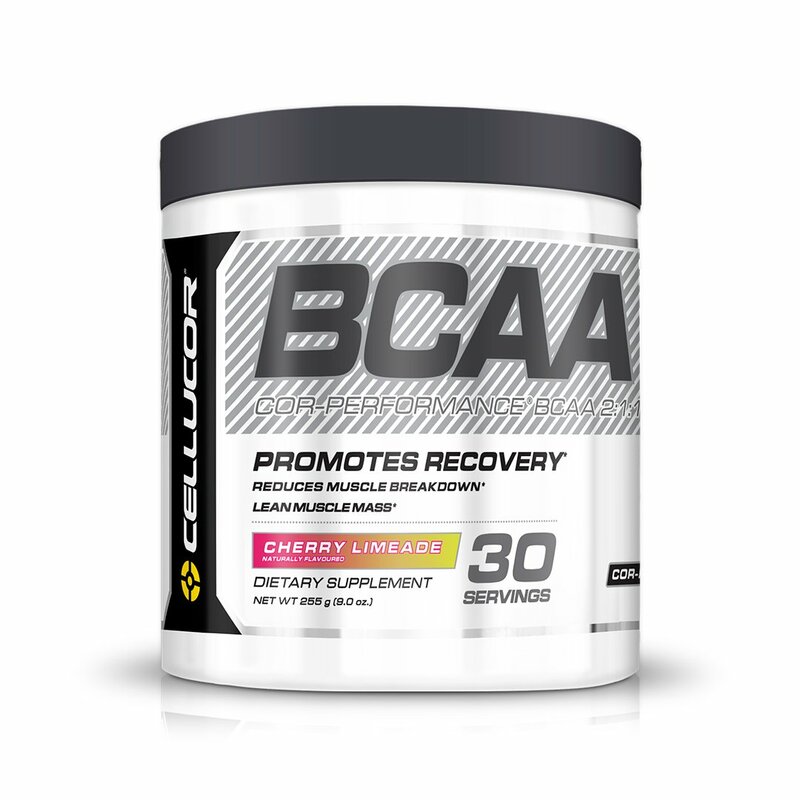 With Cellucor Cor Performance BCAA, you will be ready to tackle any challenge on the horizon! Mix 1 scoop of Cor Performance BCAA in 250ml-500ml of cold water and consume during your workout. An additonal serving may be used throughout the day. OTHER INGREDIENTS: Citric Acid, Natural & Artificial Flavours, Malic Acid, Calcium Silicate, Sodium Dioxide, Silicon Dioxide, Sucralose, Acesulfame Potassium, FD&C Red 40 Lake. Great product and value for money!! I've tried the grape, watermelon and orange flavours and they are all really good. Highly recommend.